Scientists are investigating after a rare mouse-borne virus infected several visitors to a national park in the US. 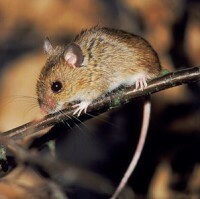 At least nine people have been struck by hantavirus since June at Yosemite National Park in California. Experts say it is the biggest cluster of cases since the disease was first identified in the US in 1993. While the case highlights the importance of taking out a comprehensive medical travel insurance policy to provide cover in the event of unexpected health problems, public health officials have now launched a number of studies to establish how the virus is passed on. They want to find out why some people are more likely to be affected than others, and are conducting studies of both humans and mice to find clues. Researchers will also take blood samples from some of the 2,500-plus employees at the park. Infectious disease specialist Dr Charles Chiu, from the University of California, has begun performing whole-genome sequencing of the virus, using tissue samples taken from affected patients and rodents carrying the virus. Researchers want to find out whether the virus is the same as the strain first identified in 1993, when hantavirus pulmonary syndrome struck 18 people in southwestern states. The researchers hope that their results will provide answers about how the virus infects people and how it might be prevented in the future.